PCWorld helps you navigate the PC ecosystem to find the products you want and the advice you need to get the job done. Subscribe to our Digital Edition and get access on Android and iOS. Once we receive your subscription order you'll receive a confirmation email with instructions for downloading apps for each of these devices (some devices served by Zinio). Yes, I want the PCWorld Digital All-Access Pass for one year (12 issues) for only $19.97. I'll save 76% off the cover price! Once we receive your subscription order you'll receive a confirmation email with instructions for downloading apps for each of these devices and how to access the Replica Editions provided by ZINIO. 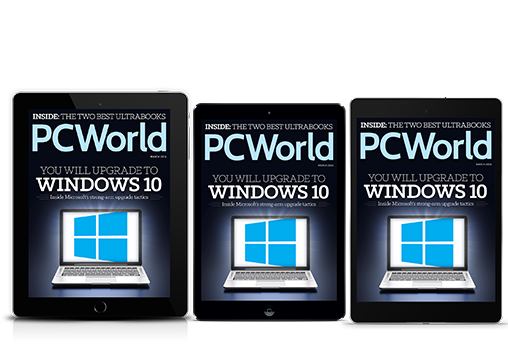 Plus, you get PCWorld's Replica Editions through ZINIO for access on nearly any device.